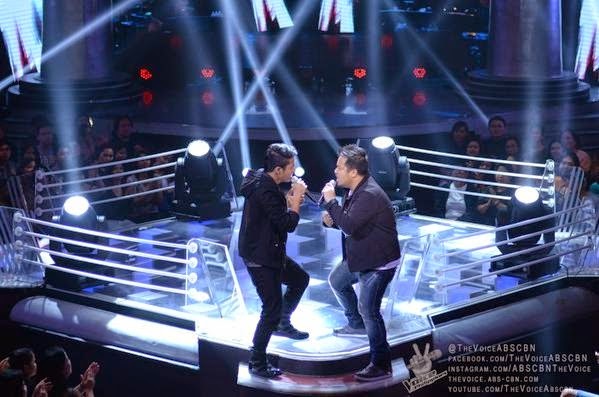 MANILA, Philippines - Team Lea artists clashed in "The Voice Philippines" continuation of The Battle Round on Saturday, December 13, 2014. It was a battle of vocals between 4-chair turner Nino Alejandro and Karl Tanhuenco as they performed Starship hit "We Built This City." Coach Lea declared Nino, Rachel Alejandro’s cousin as the winner in the battles round. He will advance to the next round of the competition – the Knockout rounds. None of the coaches attempted to steal Karl from Team Lea. In the second season of the show, the eliminated artists may get a second chance if another coach decides to steal them. If two or more coaches want to steal a losing artist, it’s up to the artist to choose the team he or she wants to join. A coach may only steal two artists throughout the battle rounds. Coach Lea had selected the groups of artists who will compete and the songs they will perform in the Battles. The second episode of The Battles on Saturday dominates online conversations with '#TheBattlesPH' among the trending topics. "The Voice of the Philippines" Season 2 is hosted by Toni Gonzaga and Luis Manzano, with Alex Gonzaga and Robi Domingo as V Reporters. Don’t miss the battle rounds in “The Voice of the Philippines” Season 2 every Saturday at 8:45PM and Sunday 8:30 PM on ABS-CBN.